Looking for an inexpensive way to take great pictures under low light-conditions? 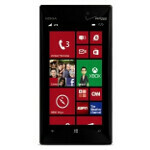 How about purchasing the Verizon version of the Nokia Lumia 928 for just $29.99. That is the deal that Amazon now has for the Windows Phone 8 flavored handset that is exclusive to Big Red in the U.S. And all you need to do is sign a two-year contract. Unlike some other offers, you don't have to be a new Verizon customer to take advantage of the pricing. Not only is the device in stock, orders received by 3PM during a weekday are usually delivered in just two business days. If you don't feel like getting locked in for two years of Verizon service, you can always dig a little deeper into your wallet or purse and pay $499.99 off-contract. If you've let the specs of the Nokia Lumia 928 slip from that vise-like trap that you call your mind, we are more than happy to repeat them. The phone is equipped with a 4.5 inch AMOLED screen with resolution of 768 x 1280, which works out to an above average pixel density of 332ppi. A dual-core 1.5GHz Qualcomm Snapdragon S4 Plus MSM 8960 is under the hood with an Adreno 225 GPU. 1GB of RAM is on board and there is 32GB of native storage inside. The Nokia Lumia 928 does not have a microSD slot. The camera on back weighs in at 8.7MP and includes a Xenon flash. Video is captured in 1080 x 1920 at 30fps and there is a 1.2MP front-facing snapper. The 2000mAh cell keeps the lights on. Although we don't have an expiration date, this is a limited time offer so if you have an interest in the Nokia Lumia 928, might as well take advantage of this deal. You probably are not going to see this handset priced much lower, at least for now. Bargain! !! For nokia lover, for greater camera phone lover. That's a good deal! Just hope someday they don't charge the tax based on the full retail price.